Looking for a stock that costs less than $5 per share that could actually be worth buying? Here's three ideas for you to consider. 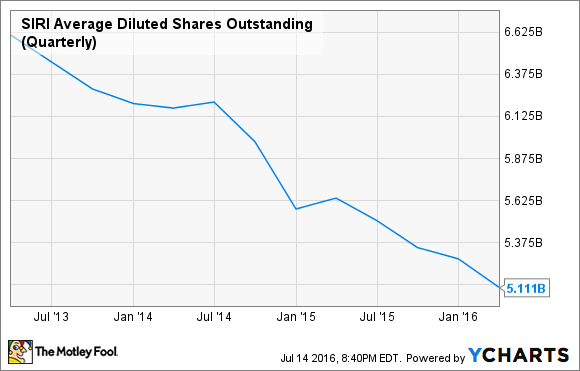 Very few companies want to see their stock trade below $5 per share. After all, many companies IPO at prices far above this level, so when you see a stock is trading below $5 it typically means that it has been a poor investment. Sending a stock below $5 is one way that the market hints that a company is probably more trouble than they're worth. I've learned this lesson the hard way. When I first started out I only invested in penny stocks, and my returns were abysmal. Ever since I've promised myself that I would avoid companies that trade for low share prices at all costs, which is why you'll find far more companies in my personal portfolio that trade well over $100 per share, and none that trade under $5. Having said that, I certainly recognize that there are plenty of stocks that trade for below $5 per share that will make great investments from here. If you're willing to take on some risk, then here's a list of 3 stocks that are trading below $5 that could be interesting buys right now. Synergy Pharmaceuticals is a clinical-stage biopharma that primarily focuses on treating gastrointestinal disorders. The company's lead product candidate is called plecanatide, and Synergy is investigating it as a potential treatment for two conditions: chronic idiopathic constipation (CIC) and irritable bowel syndrome with constipation (IBS-C). The company has completed the clinical work on treating CIC, and so far it looks like plecanatide could be the real deal. In Phase 3 trials the company showed that using plecanatide effectively addresses CIC, and it did so with best-in-class incidence rates of severe diarrhea, a side effect of CIC treatments. If the FDA gives this drug the green light then Synergy could have a winner on its hands. The only potential wrinkle in this company's plan is that Synergy will be facing some stiff competition if plecanatide finds its way to market. The current leader in the space is Linzess, a drug that is co-marketed by Allergan and Ironwood Pharmaceuticals. Linzess is currently on pace to reach more than $1 billion in net sales by 2020, so you can bet that Allergan and Ironwood won't take kindly to competition. Still, plecanatide's lower rates of severe diarrhea might give it a clinical edge in the market, so I wouldn't rule out this drug's chances of stealing some serious market share. Plus, that $1 billion sales figure shows just how big this market opportunity is for just this one indication. Synergy Pharmaceuticals should hear from the FDA about the drugs approval early next year. If that goes according to plan that it wouldn't surprise me one bit to see this company's stock trade far above the $5 mark in the future. That being said, this is still a high-risk proposition, so investors should proceed with caution. Despite its minuscule share price, there's a lot to like about Sirius XM Holdings. The company has grown its subscribers base to more than 30 million customers, which provide Sirius with a predictable stream of growing revenue. The companies margins are increasing, and it consistently throws off copious amounts of cash flow, which it has used to continuously nibble away at its share count. Looking ahead, the company's new SXM 17 service could be hitting the market in the next year or two, which will allow for two-way connectivity to its customers. That's important, as the company will finally be able to learn about its customers' listening habits and adjust its spending accordingly. That could go a long way toward optimizing its content spend and lowering its churn rates. Add it all up and there's good reason to believe that revenue and profits could continue to climb from here. Geron is a clinical-stage biotech that the market loves to hate. That's because this company's future is completely tied to the success -- or failure -- of a single compound: imetelstat. Geron believes that imetelstat holds potential to treat both myelofibrosis and myelodysplastic syndromes, which are two very serious types of blood cancer. Early clinical trials showed that imetelstat was able to generate both partial and complete responses in patients who had myelofibrosis. That's the first time that a drug has ever done that, which could hint that the company has a real winner on its hands. Geron has at least one other entity convinced that imetelstat is the real deal. The company has signed a partnership agreement with a company that knows a thing or two about healthcare: Johnson & Johnson. J&J is so enamored with imetelstat that it has promised up to $900 million in milestones payments if the compound proves to be a market success. That's a huge amount of money for a company with a current market cap of just over $400 million. Right now investors are in a bit of a waiting period with Geron since the next round of data from trials won't be available until 2017. I'm convinced that's a big reason why this company's shares are currently in the doghouse. That being said, there is a near term catalyst later this year that could give investors a clue to how imetelstat is performing. Johnson & Johnson's is planning to perform an internal review of imetelstat's trials later this year. If the trials are a dud then J&J will likely walk away, and Geron's shares will likely crash. However, if all signs are a go then that hints that they think the trials are going well, and Geron could have a bright future. Just like with Synergy Pharmaceuticals there are a lot of unknowns here, so Geron is a stock that will either make it big or flame out in spectacular fashion. Still, if you're willing to take on that risk and are looking for a sub-$5 stock that offers a lot of upside, Geron might fit the bill.